It’s cloudy, today. But I’m not speaking about the weather in northern hemisphere autumn. Cloud Computing, two words that cannot be explained with just a sentence, is now a reality, born to change our (digital) lives. In this article, though, we will be discussing about Cloud Computing as a platform where developers can deploy their highly scalable, highly available solutions. We call this Platform-as-a-Service, or PaaS for short. PaaS also means a lot of things but for us is forgetting about dealing with the OS, the application server, the disc or the memory in the server. You just have your “application space”, where you can upload your solutions, execute them, monitor how they behave and control the amount of resources available to them. You don’t know where your application physically is, the type of host server, operating system configuration or even how the application server is configured at all. You may certainly know about some or all of this, but it is really not needed to achieve your targets: develop your idea and make it available to your clients (no matter how much or where they are) in a hassle. VMware Cloud Foundry is one of such platforms. 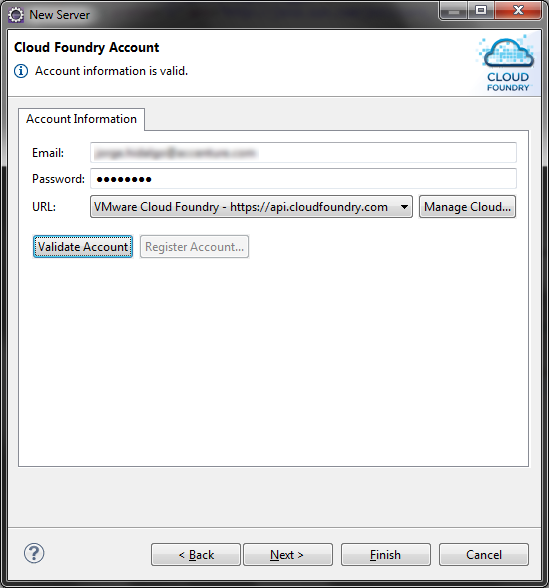 Cloud Foundry, www.cloudfoundry.com, is an open platform sponsored by VMware, born to support multiple frameworks, application servers and even multiple cloud providers. You may think on it as a core product that may be used as a foundation for more advanced cloud services. Cloud Foundry is open source. This means that you can get and contribute to the platform, build it and run it in your own host. As an open source project it lives at www.cloudfoundry.org. 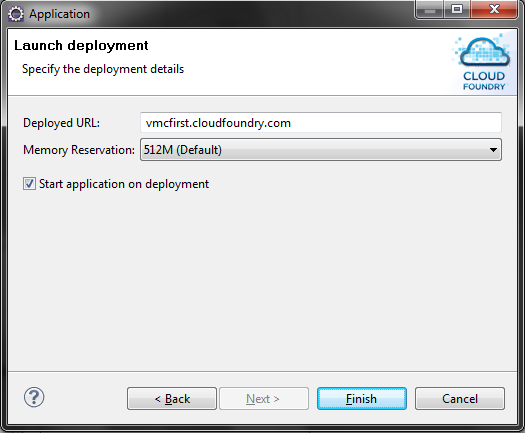 From Cloud Foundry site you may download a virtual machine with the live platform (the Micro Cloud Foundry) for your own use or request an account in the public, Internet-wide Cloud Foundry platform. Either one or the other, you will get the ability to run Java with Spring, Ruby on Rails and Sinatra, Groovy, Grails or Scala applications and leverage MySQL, Redis or MongoDB data services. 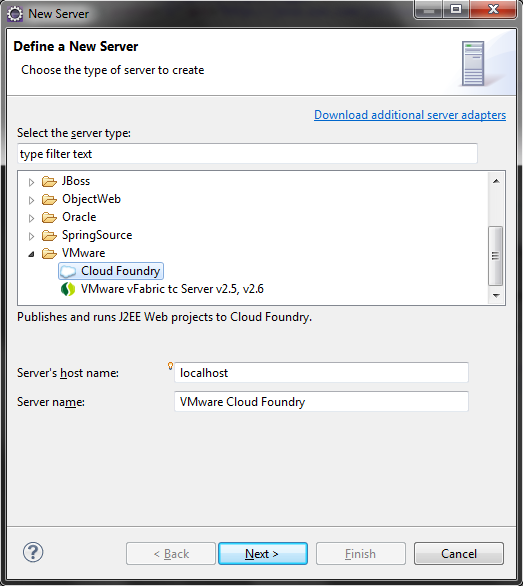 For the rest of this article we will show how to start working with Cloud Foundry, prepare an existing Java with Spring application and deploy it to the cloud. We will be using Eclipse IDE Java EE bundle with Spring IDE installed on it and the public Cloud Foundry instance, so really no special setup is needed to start working on it. 3 Get Ready! Eclipse the Cloud! 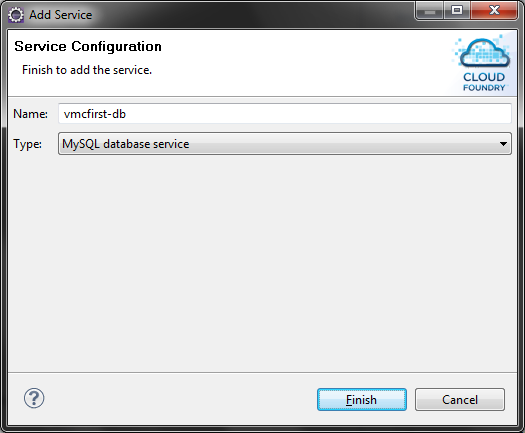 The first step is to request an account in Cloud Foundry site. 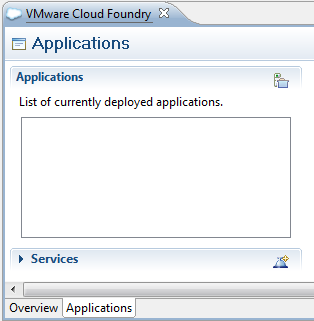 Currently Cloud Foundry is in beta status and in theory access is granted as soon as VMware grows the existing public premises, thus the ‘request an invite’ label. In practice, access is granted quickly and you will receive an initial password by mail. My recommendation is to change that password. 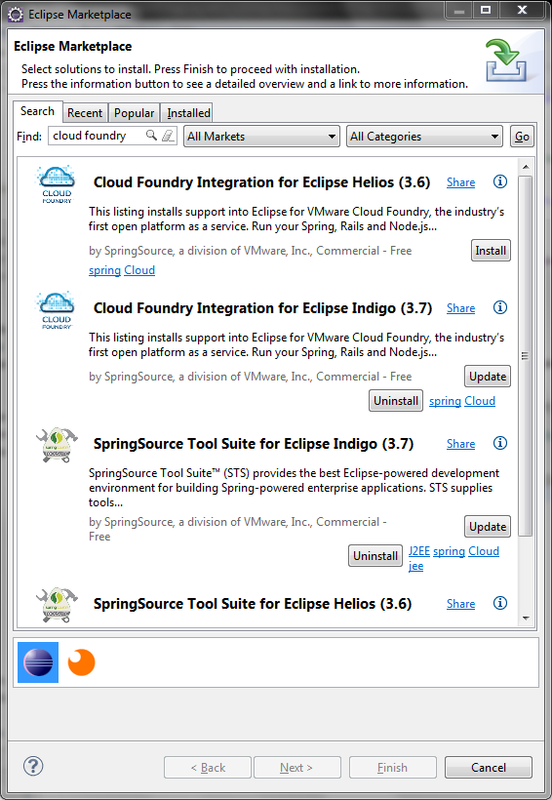 Cloud Foundry can be controlled through Ruby gems or through Eclipse plug-ins. Although the Eclipse plug-ins are the easiest way to work on the code, deploy and test applications, some tasks needs the Ruby scripts, so let’s start by installing them. Enter the new password twice and it’s done! You can at this moment select the applications to be deployed into your application space, but for now we will not add anything there. Click the Finish button to save the server and return to the workbench. Now that our environment is ready to support Cloud Foundry, let’s discuss about what changes need to be done on an existing Java with Spring application to be deployed there. 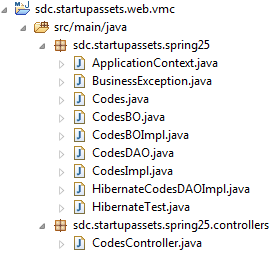 The reference application is a very simple one: web interface using JSP and JSTL, plus Spring MVC and Hibernate. 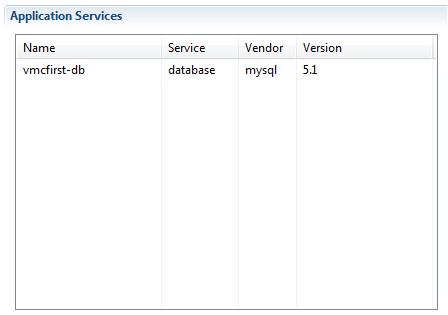 It is currently configured to use an embedded HSQLDB database for data persistent storage. Surprisingly, that’s all. We are ready to deploy the application into Cloud Foundry. Just run the application as you would do with any regular server and after a few seconds you will see your application living in the cloud! 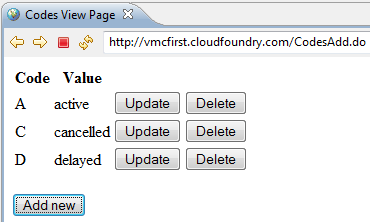 It is very easy to start working with Cloud Foundry platform. Your existing code would run there with little or no changes at all. 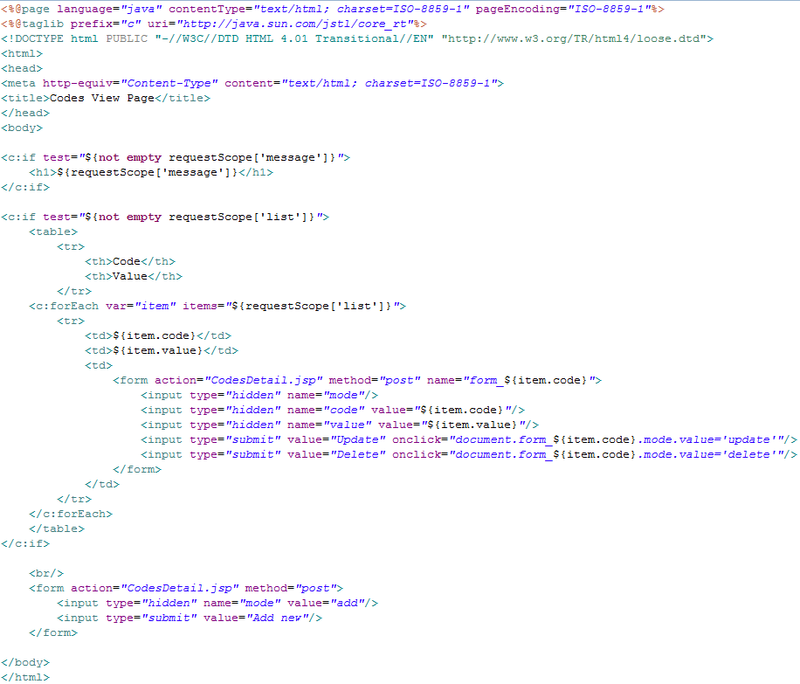 Configuration is also very straightforward. 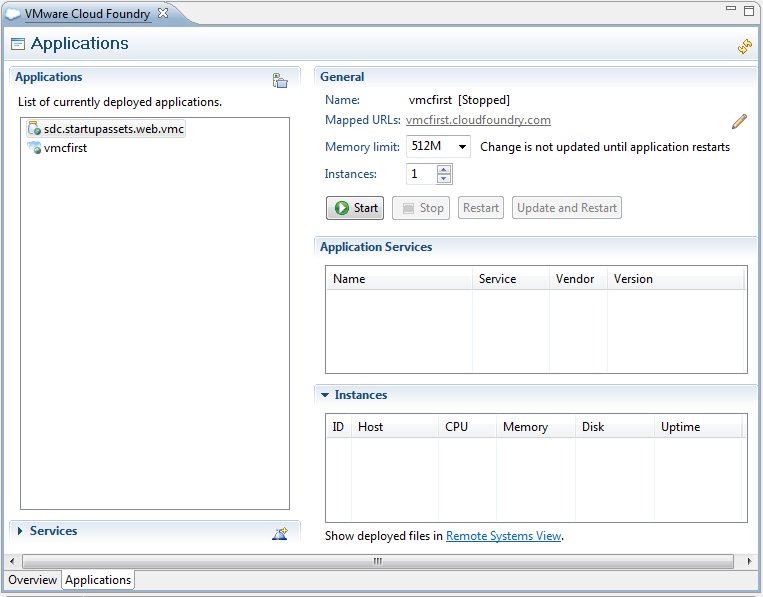 Although in their current beta status, Cloud Foundry is a very interesting platform, powerful and flexible. It is difficult to say how much time will be needed until it is ready for enterprise-wide deployments with thousands of users and wide geographical dispersion, but surely we will see commercial offerings based on the platform in the following months. Jump into the cloud! Are you ready? I got lost from Section 2, but understood the intent of the article. If one day I need to code Java in the Cloud, I will come back, but really this article is great. Great!!! Cloud Computing for developers. 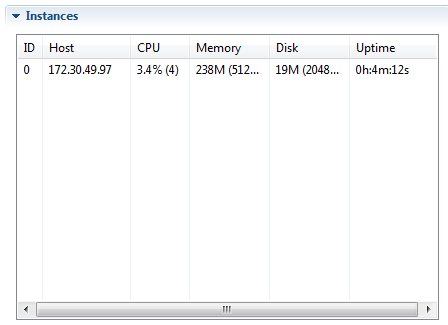 If we want to backup DB or get dump file might be troublesome. What you guys think about this ? Thank you for the great article to introduce me to the cloud computing and PAAS. it was easy to follow, till section 4. Is your sample code from the tutorial that comes with STS, or your own? 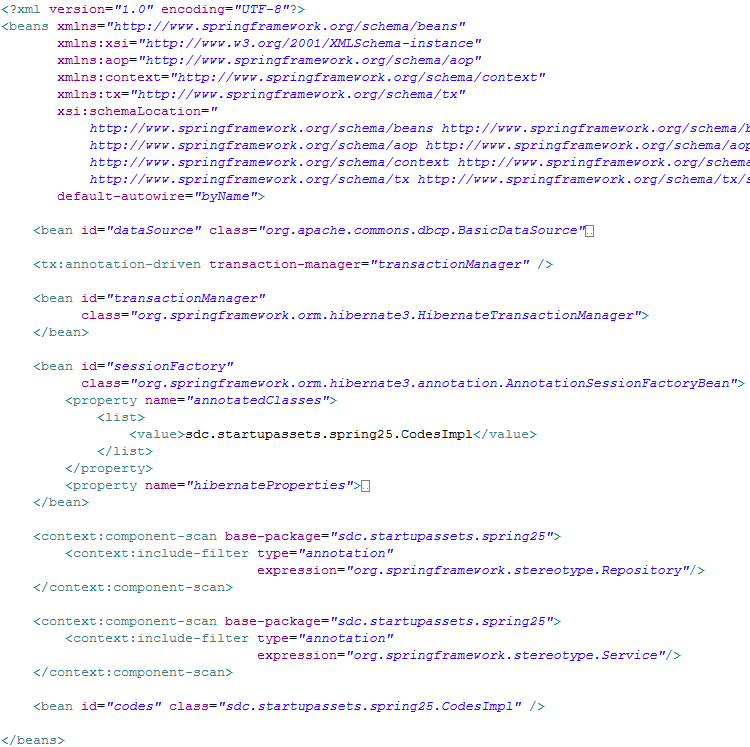 If your own sample, can you share the source code?